The Development and Research on Innovative Vocational Educational Skills project (DRIVES) will deliver human capital solutions to supply chain SMEs through the establishment of an Automotive Sector Skills Alliance, covering all levels of the value chain (vehicle production, automotive suppliers and automotive sales and aftermarket services). Through the network of the partners, DRIVES outcomes will be disseminated EU-wide to more than 300 associations, bringing together more than 270,450 companies of all sizes, representing over 7 million workers. 24 stakeholders from 11 EU partner countries - Austria (ISCN Graz, TU Graz, FH Joanneum), Belgium (ETRMA, ACEA, CLEPA, Efvet), Czech Republic (VSB-TU Ostrava), Hungary (Budapest University of Technology and Economics), Italy (SPIN 360, Sistemi Formativi Confindustria), Netherlands (U Twente, Symbol Business Improvement), Poland (East Automotive Alliance), Romania (APIA), Spain (SERNAUTO, Mondragon University, AIC, GESTAMP), Portugal (IPV, IDESCOM, Universidade do Minho, Eupportunity) and UK (SEMTA). 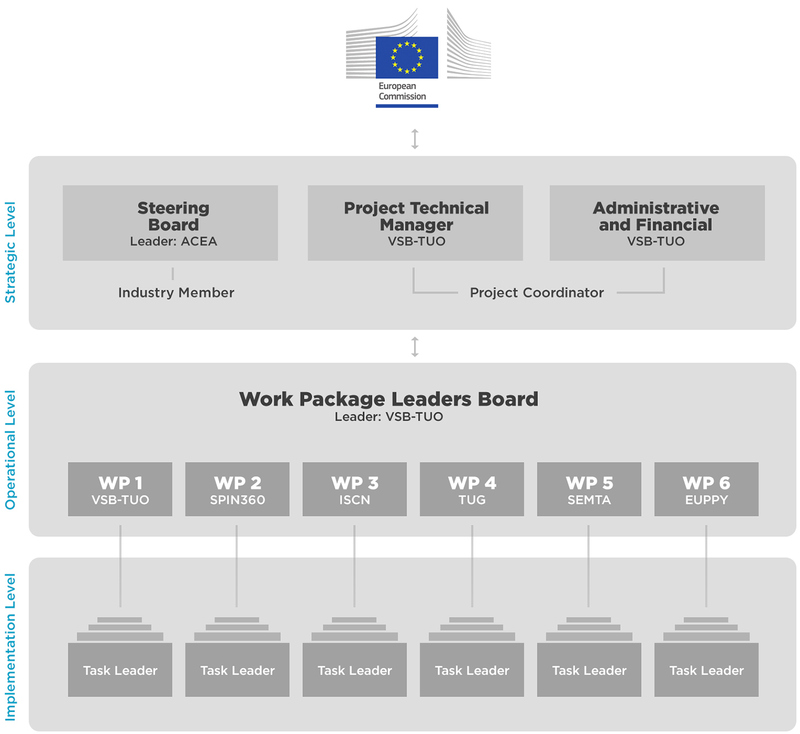 The Project draws on the expertise and input from 11 entities, chaired by ACEA, supported by CLEPA, ETRMA – and selected GEAR 2030 members - will be responsible for setting the industrial strategy and direction for the project. Its members are the Stuttgart Region Economic Development Corporation, Petrochemicals Europe, Automotive Industry Association of the Slovak Republic, Grupo Antolín, Association of Portuguese Mechanical Engineering and Simial Industrial Companies, Municipality of Mangualde, Jaguar Land Rover, IndustriAll, VDA, Automotive Council UK and CECRA. The EC support for the production of this publication does not constitute endorsement of the contents which reflects the views only of the authors, and the Commission cannot be held responsible for any use which may be made of the information contained therein.